5 tips that will save you money. Smarter Shopping SOME Aldi products prove so popular that near riots are caused when they sell out. So we put them to the test to see which ones are worthy of your time. Parenting THE NSW mum lives in fear of the conflict around her refusing to put in for the expensive gift affecting her son. 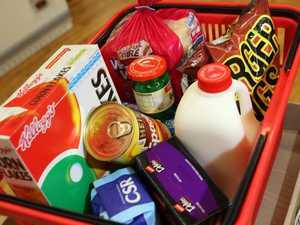 News WATCH: Aldi has hit out at Coles and Woolworths in a new campaign, saying its loyalty programs are a waste of time. Smarter Shopping IT’S a kitchen scene that’s all too familiar for the majority of Australian households. Here’s how your pantry could be costing you thousands at the checkout.